Made to order to your size in a few weeks. 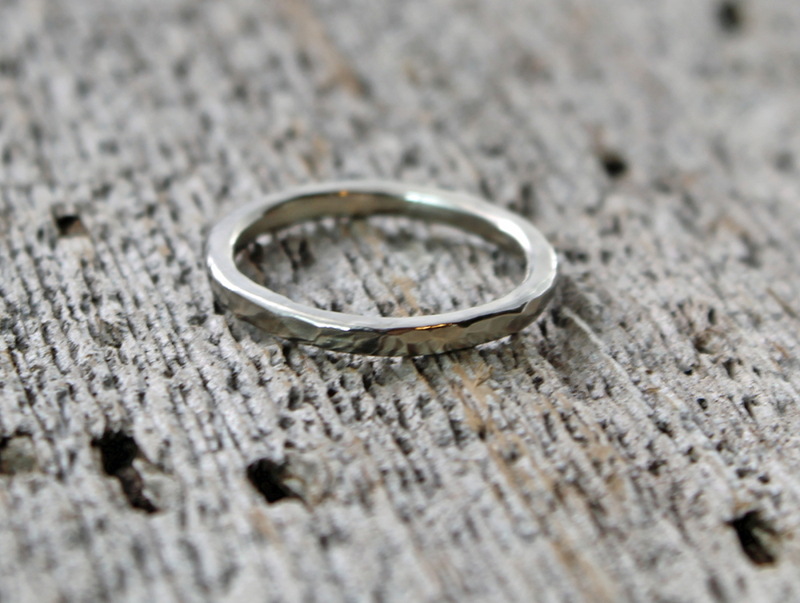 A simple organic and artisan hammered solid 14k white gold ring forged in the heart of the Spiral River with a 2mm thick recycled white gold band. 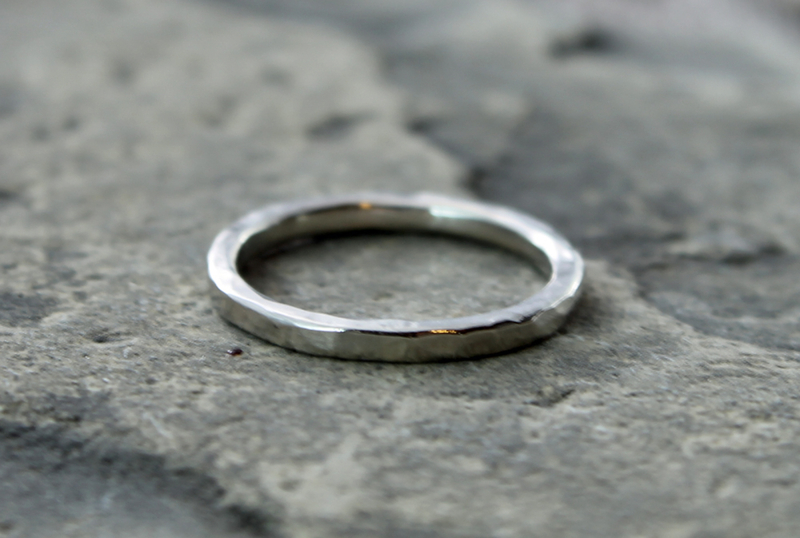 This would make a beautiful wedding band or engagement ring. You can chose your preferred finish: high shine, matte/brushed. The high shine is shown above. Please specify your preferred finish when you check out. About my white gold: I work with recycled palladium nickel free white gold that I do not rhodium plate. 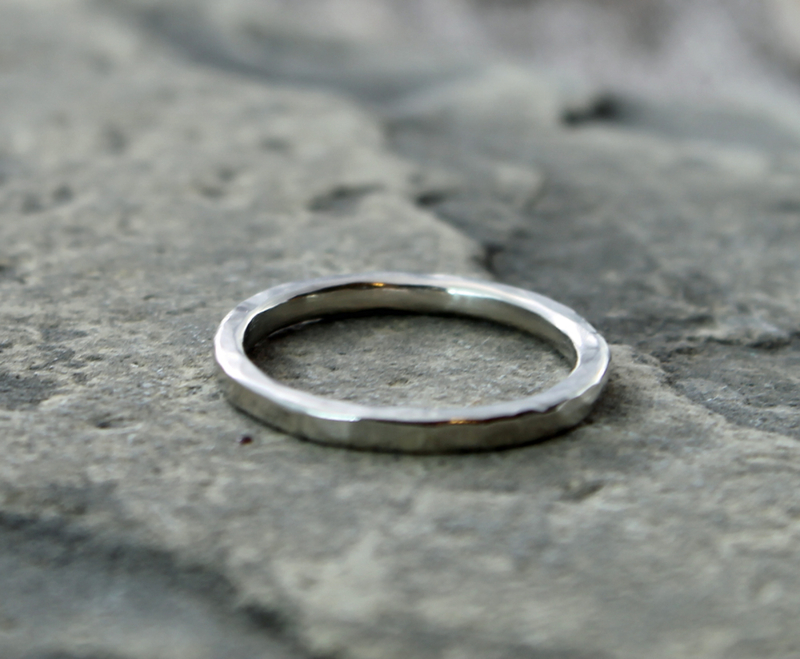 Please note if you plan to wear this white gold ring beside a white gold ring by someone else, this may appear to be a different colour. In addition to being a jewelry artist, I am also an ordained minister. Therefore I am happy to bring blessings to your ring. If you would like this, please let me know what intentions you would like me to bring to your ring as I form it. I will repeat it like a mantra in my mind and in doing so, the creation of the ring will be joined with your consciousness and wishes.